Sending parcels with Sendle is really simple. You can get quotes, book deliveries and print labels from your dashboard. Below is a step by step guide to sending your first parcel with Sendle. 2. This will prompt you to fill in your pickup address and contact details. This information will be saved in your account settings to make future bookings much faster. 3. Next, add in the delivery address, contact information and parcel size and weight for your delivery. You can also choose a pickup date for your parcel (the earliest pickup option is the next day). 4. Tap the 'Confirm order' to review your order, addressing details and parcel size. You can change details in the order by tapping 'cancel'. 5. Once you're happy the delivery information is right, you'll be prompted to complete your payment information. This is in the form of your credit card details (or a debit card with credit functionality). Your payment will be charged the following Monday. Once your card details are successfully added to the order, you can confirm the order. 6. This will take you to your dashboard to print the label for your parcel. Printing the label allows you to track the parcel when it's in transit. Print the label without resizing or shrinking it. 7. Have your parcel ready for collection on the day you've requested. 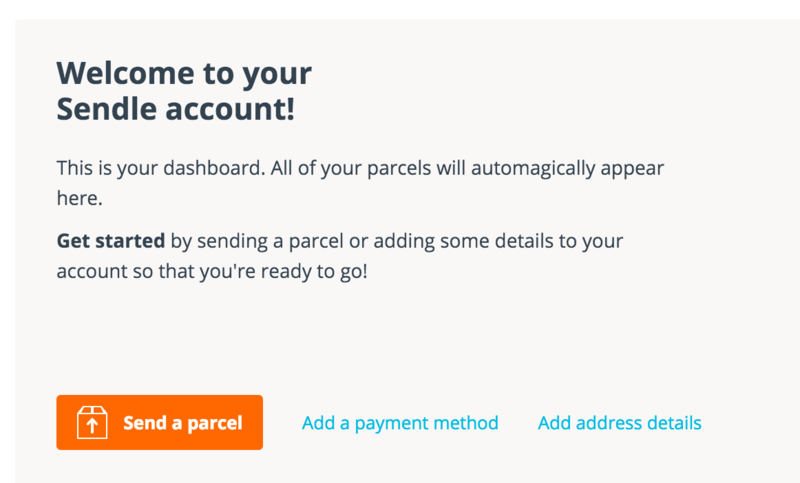 Now that you know how to send a parcel you can head over to your dashboard or sign up for your free account!